Barry Wayne Adkins, 61, passed away Jan. 15, 2019, at Cabinet Peaks Medical Center surrounded by family and friends. He was born May 31, 1957, to Dean and Ellen Adkins in Libby. After graduating from Libby High School, he attended a vocational school in Billings, coming home to Libby after it closed due to a fire. After many years of working in the logging department of J. Neils and Saint Regis, Barry worked for various “gypo” loggers as a sawyer and machine operator. He later moved into construction work. 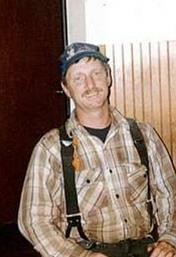 Barry was an avid hunter and fisherman, thoroughly enjoying the great outdoors. He could usually be found at the top of a mountain during hunting season or in the middle of a frozen lake, ice fishing, in the winter months. Barry loved spending time at the family cabin at Bull Lake, playing cribbage and “slaying salmon” with friends and family. Barry requested no funeral, but the family will have a celebration of his life at the family cabin on Bull Lake this summer. Barry was preceded in death by his father, Dean V. Adkins. Barry is survived by his mother, Ellen Adkins of Libby; daughter August (Mark) and grandson Mason of Spokane; sisters Julie (Bob) Kendall and Janie (Jeff) Bache of Libby; nephews Jeremiah Kendall and Nathan Bache of Libby; nieces Samantha (Mark) Thom and Katie Lamkins, Libby; great- nieces and nephews Taylor, Jadyn, Braydan, Landyn and Ian. He is also survived by numerous aunts, uncles, cousins and friends.